Any grower looking to cultivate sativa cannabis varieties in a northern climate is in for a bit of a challenge. Luckily, we've gone ahead and created this list of the 5 best sativa strains to grow in northern climates. Read on to see which ones made the cut and be sure to add them to your garden today. Northern climates aren’t ideal for growing sativa cannabis environments. These strains are usually native to warmer climates closer to the equator, and therefore struggle to hold up against the sometimes cold and frosty conditions and short grow seasons of the northern hemisphere. Luckily, we’ve gone ahead and created this list of the top 5 sativa varieties that can grow in the less friendly climate of the north. Read on to find out what strains made the cut. Before we shine the spotlight on a handful of sativa strains that grow well in northern climates, it's important to understand what actually distinguishes a normal climate. When we talk about northern climates, we are generally referring to grow environments which are cooler and wetter than some of the more southern areas of Europe, such as the UK, parts of Germany, and the Netherlands. One of the biggest concerns for growers in northern environments is cold weather and frost. Traditionally, most sativa varieties grow in warmer climates, and struggle to grow in these conditions. Now, the more north you go, the further you get from the equator and you’re potential of dealing with frost and cold weather obviously increases. On the other hand, the the closer you get to the equator, the warmer the climate gets, making it easier to grow sativa varieties. Due to these conditions, growers in the north general face shorter grow seasons, which can dramatically drive down the overall yield per harvest, especially in sativa varieties. Now, this is obviously a generalized overview of northern climates, and the local climate where you live (or plan to grow) may vary quite dramatically to other northern regions. Hence, it’s important you take the time to understand your climate and how you can best prepare for it before you actually start sprouting your seeds. Below we’ve handpicked a list of the best sativa cannabis strains to grow in northern climates. Read on for more information and follow the links for more details on each strain. For more articles like this, be sure to follow our blog. Royal Medic is a powerful new hybrid, crossing Critical and Juanita la Lagrimosa, two iconic cannabis strains from Spain. 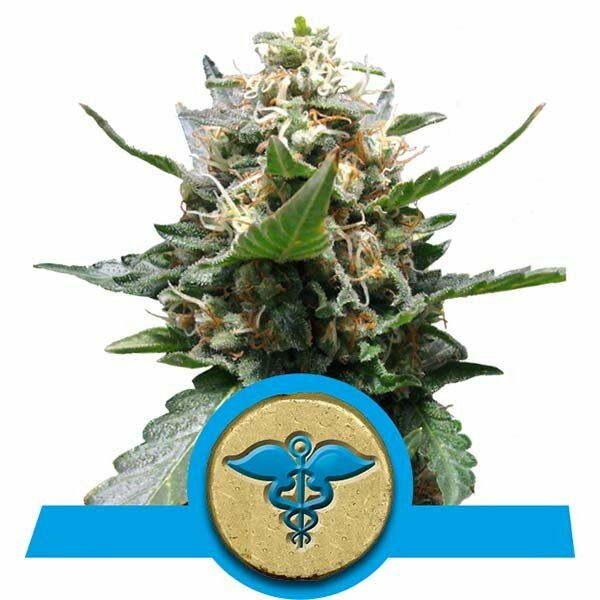 Critical is an indica-dominant variety well known for producing very high yields. With a THC content of roughly 18% and short flowering periods, it has become a stable strain among growers all across the world. Juanita la Lagrimosa, on the other hand, is a medicinal strain with strong genetics featuring Mexican/Afghan roots mixed with Reina Madre. It has a 1:1 THC:CBD ratio, and boasts fast flowering periods and medium yields. Our Royal Medic takes the best of both of these strains to create a new variety that produces excellent buds, high yields, and is extremely resistant. It has THC levels of roughly 10% and high CBD content, and a flowering time of just 9 weeks. Best of all, it produces big yields (reminiscent of its parent) averaging between 470 and 520 grams per plant. Royal Madre is an epic strain that deserves a space in every growers garden. As a cross between Jack the Ripper and Queen Mother (Reina Madre), this is a sativa-dominant hybrid with strong, stable genetics that can easily stand up to the challenges of a northern grow environment. Boasting THC levels of 18%, this strain is ideal for recreational use, as well as medicinal use centered around pain relief. Being a feminized strain, this strain is easy to germinate and grow even for rookies. Royal Madre has a flowering time of just 8 weeks, which makes it perfect for the short growing seasons of the north. They only grow to about 1.5 metres, which still makes them relatively discreet for outdoor growers. Plants are usually ready for harvest by October, and can easily produce between 400 and 500 grams per plant. The buds offer a full flavour and aroma, and produce a strong euphoric high typical of sativas, underlined with some indica-style relaxation. Most importantly, thanks to its strong genetic background and the expert breeding that went into creating this strain, you can rest assured that Royal Madre will have no problem holding up to the tough grow conditions of the north. 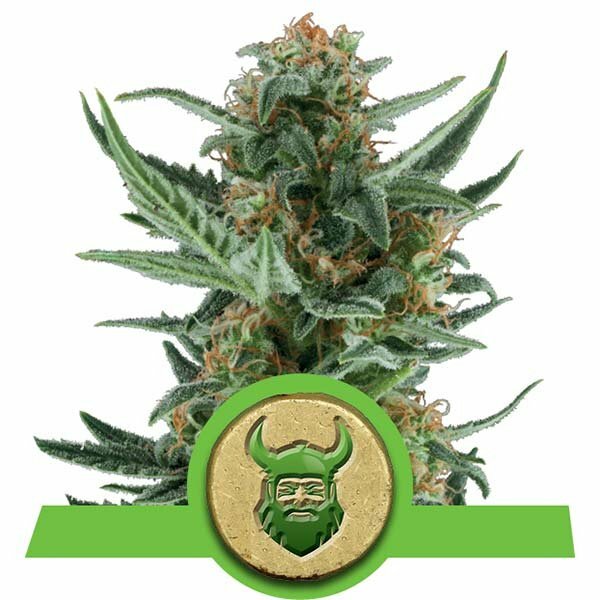 Royal Dwarf is a feminized autoflowering variety that makes it extremely simple to grow great bud almost anywhere. As a cross between our Easy Bud and special Skunk variety, this strain has an extremely strong genetic background that makes it super resilient. It can easily hold up to the tough conditions of some northern areas and, despite going through hell and buck, consistently produces a top-shelf final product. As the name suggests, Royal Dwarf plants are small (only reaching heights of about 50-90cm even in outdoor environments), but are still able to produce reasonable yields given their size. Yields can reach about 80 grams per plant. While that may not be ideal for growers looking for big harvests, our Royal Dwarf is great for stealthy growers who want to avoid attracting attention. Flowering time for these plant is only 6-7 weeks, and the average THC ratio for mature buds clocks in at about 13%. If you’re looking for a strain that’s super resilient, will avoid catching attention, yet still leave you with some high-quality bud, our Royal Dwarf is ideal. Next on our list of top sativa strains for northern climates is our Royal AK Automatic. 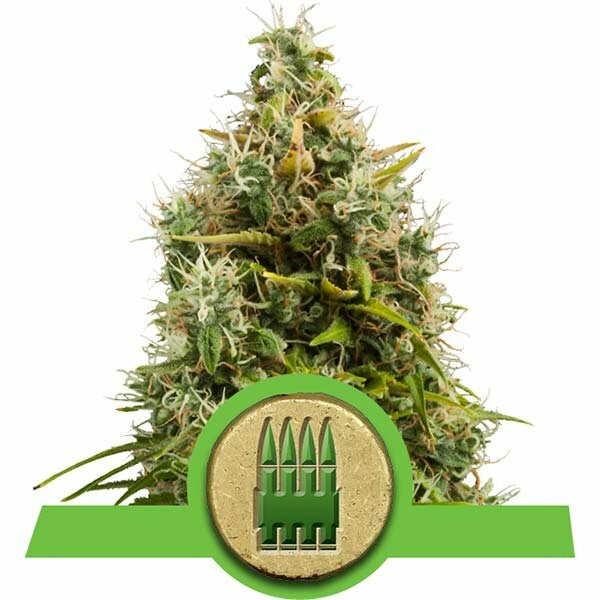 This is a modern twist on the iconic AK-47 ( a cross between Columbian, Mexican, Thai and Afghani), offering powerful autoflowering genetics that’ll hold up even in the toughest of grow environments. Just like the original AK-47 strain, these plants produce extremely aromatic buds with hard-hitting effects that boast average THC levels of about 15%. Expect to harvest some extremely dank buds with sweet, yet somewhat spicy tasting bud, with a frosty layer of trichomes. Similar to our Royal Dwarf, these plants are designed for discreet growing, reaching heights of about 70-100cm in outdoor environments. Still, yields are reasonable, weighing in at about 160 grams per plant. That, combined with the extremely resilient genetics, make for a well-rounded strain that deserves to be part of every grower's garden. Power Flower is our attempt at recreating a legendary almost-pure sativa bred in Amsterdam in the 90s. This feminized strain grows to roughly 2m when grown outdoors and, while preferring warmer climates, can flourish in colder regions like Germany and France as well. When grown outdoors, our Power Flower can yield up to 500g per plant as long as you keep it well fed and in a sunny spot. Flowering time is just 8 weeks, and the plant makes for a moderately-easy, fairly straightforward grow that is even suitable for first-time growers. The buds produced by this plant are light and fluffy (typical of a sativa) and boast a complex taste that combines an underlying sweetness with slightly sour citrus notes and some subtle pine flavours as well. Power Flower boasts a whopping 19% THC that delivers strong yet very clear cerebral effects, making for a perfect all-round smoke that won’t leave you melting into the couch.